Wahoo’s Kickr direct drive turbo trainer has been widely praised for its realistic ride feel, but at nearly £1000 it’s a pricy item. 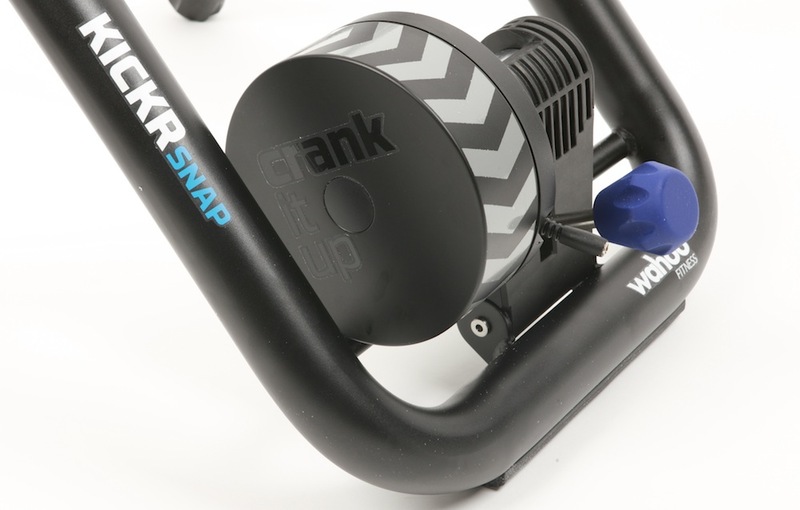 The Snap is Wahoo’s lower priced offering, which is a wheel-on design which uses a slightly less weighty flywheel – and saves around half the cost of the Kickr. Like the Kickr, the Snap will handle wheel sizes from 24 inches up to MTB 29ers and different axle widths. It is slightly lighter than the Kickr too, at 17kg against 21kg, as it has a lighter flywheel. It also uses algorithmic power measurement whereas the Kickr has a built in power meter. Its other features are very similar to its big brother: it uses an electromagnetic resistance unit, can be controlled via Wahoo’s app, which works on Apple and Android smartphones, tablets and computers. 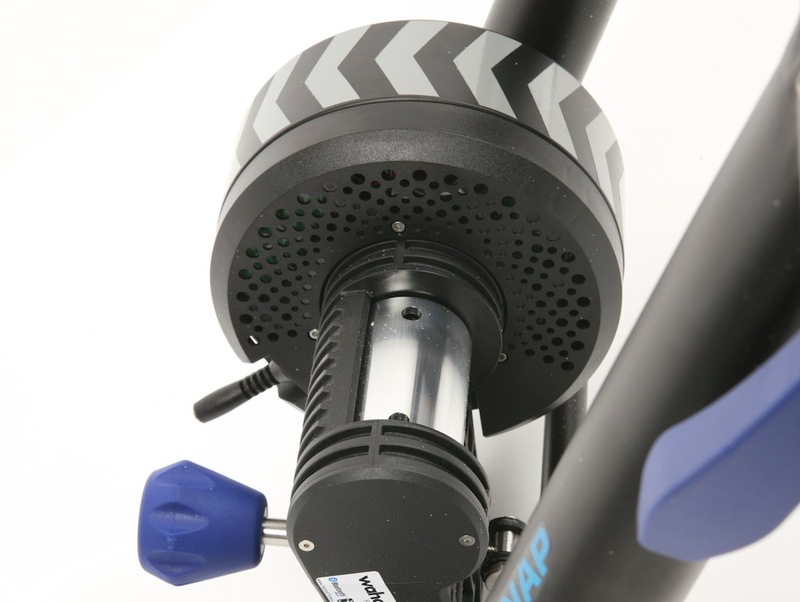 The Snap’s software has the same open interface as the Kickr too, allowing it to be used with a variety of third party training and ride simulation software packages or with a bike-based power meter to vary the unit’s resistance automatically. Training data can be analysed via the Wahoo site or data can be downloaded to Strava and other training sites. Also, as with the Kickr, it requires mains power to operate and so cannot be taken along as to use for a warm-up for a race. In use, the swap to wheel-on makes little difference to the ride feel, which is much more realistic than many trainers, with the heavy freewheel providing plenty of inertia. I didn’t find that I got any significant wheel slip either. There’s enough resistance for the most strenuous workouts too. The Snap also comes complete with a front wheel riser block, allowing you to level out the bike when it’s in the trainer.